You have 2288 characters. Don’t forget to add important and relevant keywords in your description to improve your iTunes app page and optimize your SEO. Your app's last version was released on January 16, 2017. It is important to regularly update your app. Best practices recommend to update your app every 4 to 6 weeks. This means fixing reported bugs, improving existing features, launching new features etc. Keep an eye on users' feedback. The next great features may already be asked by many users. Reality TV just got more competitive! Inspired by ABC’s “The Bachelor,” Reality Royale offers fantasy & bracket style competitions for reality TV fans. 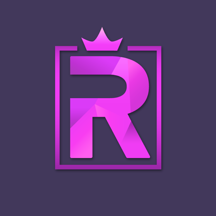 Download Reality Royale app for free today! - Play the hottest shows including The Bachelor, The Bachelorette, Survivor, Project Runway, Top Chef, MasterChef and more. - Players go head-to-head in leagues, putting their predictions to the test by building brackets and earning points based on the events of each episode. - Create or join as many leagues as you want for all your favorite shows, all in one place. - Compete with friends and fellow reality TV enthusiasts to build the perfect bracket. - Build your bracket in minutes. Pick which contestants will make it through each episode, ultimately predicting who will win the competition. - Finalize your team before your league's "draft deadline," then sit back and rack up points as your favorite contestants compete to win. - Track your team’s performance on-the-fly as the season progresses and gloat about your impeccable bracket picking skills on Facebook, Twitter, email — all from your iOS device! Trust us, reality TV’s will never be the same again. + Enhanced gameplay for Up-Front Bracket; building your Bachelor bracket is now easier than ever! + Enhanced gameplay for Weekly Bracket (paid gameplay via in-app purchase). + Improved push notifications with reminders to update your fantasy lineup or pick a Power Player, so you never miss a chance to earn more points! + New League Filters makes it's easier to find the leagues you want to join. + New League Dashboard filter make it's easier to sort through all your current leagues. + Ability to archive inactive leagues. + Improved Social Sharing Feature (Facebook, Message, Twitter, Email) so you can invite friends to a league or share your latest scores in one click. + In-app links to tutorials and explainers. + Facebook account linking, so you can easily sign in with your FB account. + Added link to FAQ page for quick game explanations. + Brand new user on-boarding, just in time for your Bachelor Fantasy Bracket! + Bug fix with joining a league via Facebook App Invite and deeplinking. + Minor UI improvements and bug fixes. Have fun this Bachelor season -- and Happy Bracketing!